I finally had a try at detox! Woohooo! 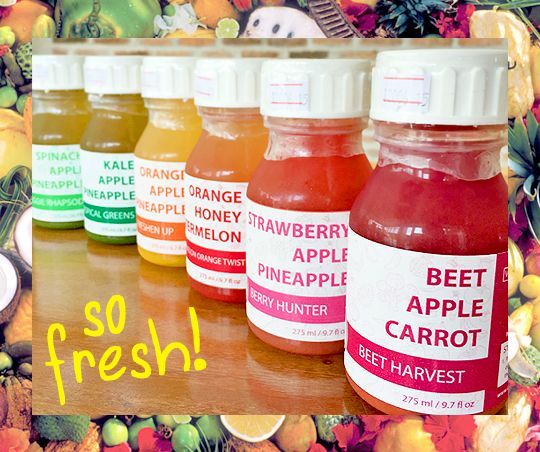 Detox is the process of removing toxic substances from our body. Imagine our body taking in all that oil and sugar and fat and all things chemical and it all mixes up inside our body. Now detox is about cleaning all that, so our body feels better and healthier. This process is very new to me so I tried it for 1 day first. You can detox by eating fruits only, drinking liquids (water & juice) only, or eat a mix of fruits and veggies only. 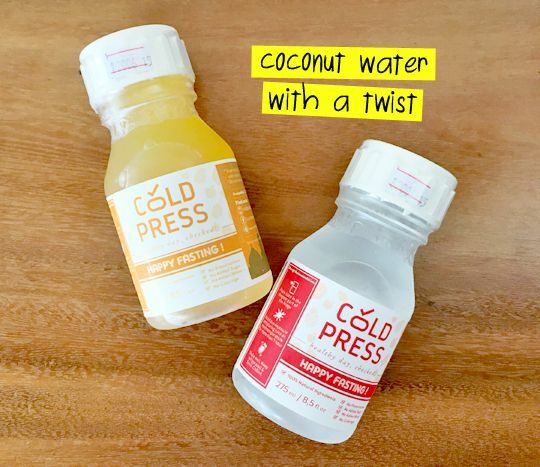 I did the second one, in which in a day, I only drank Cold Press Indonesia juices only. 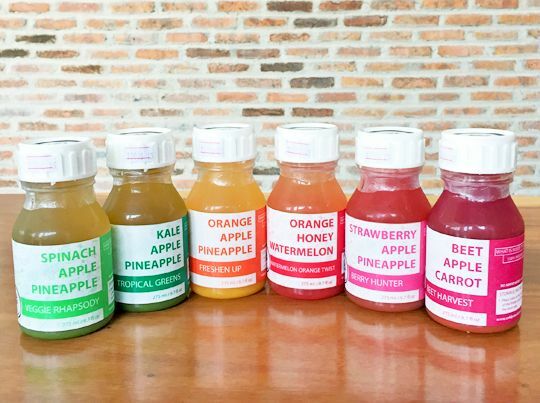 For 1 day, they provide all the best fruits and veggies in 6 bottles, so it's something like 2 bottles for breakfast, 2 bottles for lunch, and 2 for dinner. Or however you like, as long as you drink all 6 if possible. 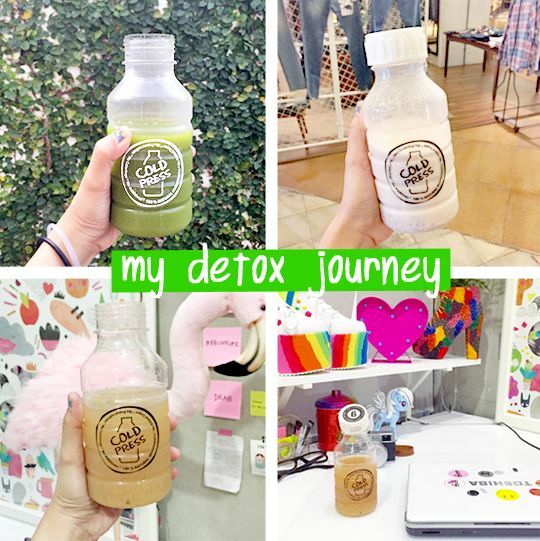 Although I completed my detox journey (woohoo!) by drinking all 6 bottles, I must admit that I didn't finish them all. Like bottle #1 which was so veggie it made my eyes roll I had to drink it with my nose closed. So yeah, I only drank half of the bottle hehe. But as long as I felt full, it should be okay. Detox made me happy. It made me feel better. I don't know whether it's a mind-over-matter thing but I really think it helps you feel more energetic and focused - and definitely less sleepy during the day. 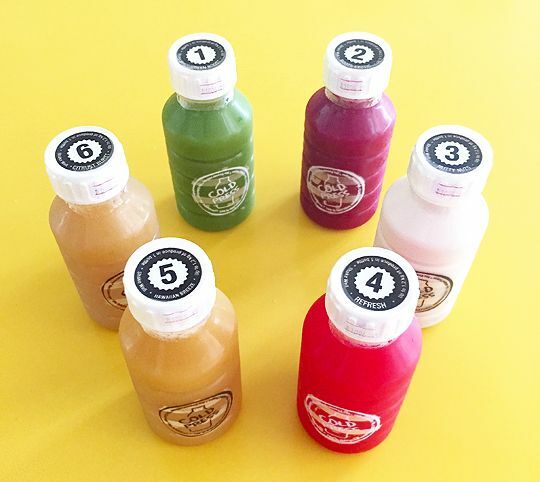 People say that it is best to do detox for 3 days straight so maybe I'll try that someday. 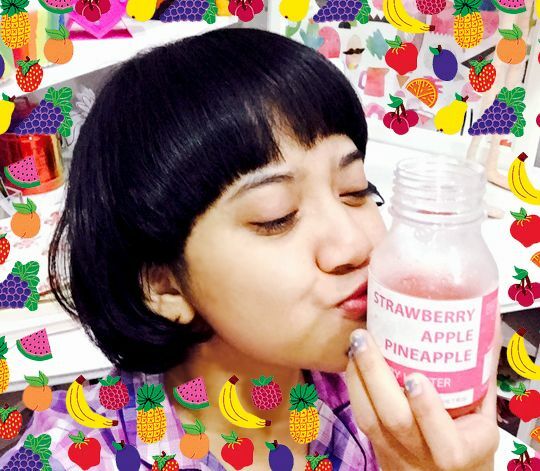 Now...if you're not into this thing yet, Cold Press Indonesia also sells oh-so-fresh juices I loooooooove! Just look 'em flavors. So tempting! 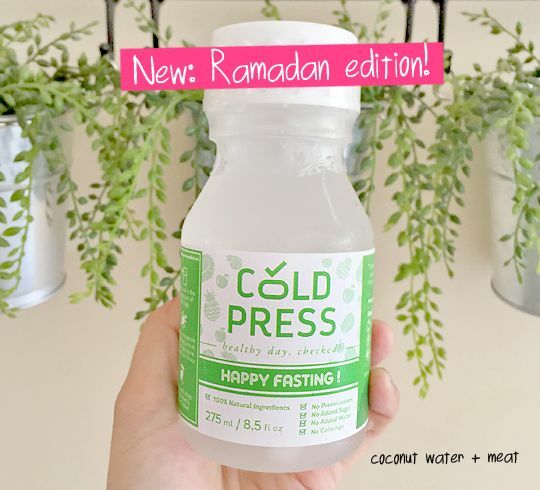 During Ramadan month, Cold Press Indonesia also serves coconut water in bottles, peeps! So it's easy to carry around if you are on the go. I've been doing similar things here, after the chemo et all. Love kale and pineapple. Try it if you like :). 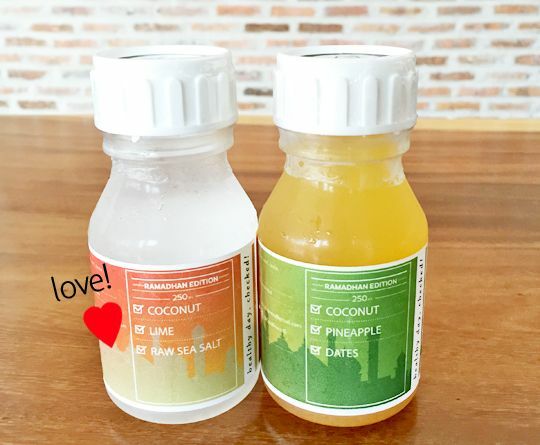 Good to know we have more healthy products back home..
Humph, thinks to detox myself too.